MILO Bus brings books and readers to neighborhoods in need. 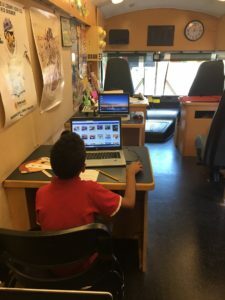 We added a new component to our Literacy Projects: MILO (Mobile Interactive Literacy Opportunity), in partnership with the Tampa-Hillsborough County Public Library, the Children’s Board of Hillsborough County and WEDU PBS. 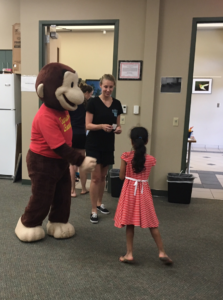 The MILO Bus was introduced in May 2016 at our 3rd Annual Family Food Fest at the Spring Hill Community, and we began hosting monthly literacy events throughout Hillsborough county, as part of The Junior League of Tampa’s 90th Anniversary Legacy Projects. 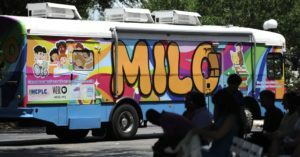 The MILO Bus visits underserved locations providing books, literacy activities, opportunities to meet PBS characters and book readings for children ages 3 to 8. League volunteers also give out books, educate families on the importance of literacy and introduce resources available to them. Click HERE to read The Tampa Tribune news article.